As you may have noticed, I’m working furiously on the website. I’ve decided to make some big changes around here, namely to the shop. I really hope this leads to much more fiber, yarn, and patterns for my customers, much more sanity for me, and much more blogging for all of us. Fiber club will continue as always and shop updates will be big and a heck of a lot more often. This change had to be made for a couple of reasons and I feel really great about the possibility of spending my days in my little dye room, making fun colorways. As far as the shop itself is concerned, gone are the bulk fibers and spinning supplies. It’s going to be all hand-dyed all the time. There’s a brand new shop and everything (bookmark it!) and it’s a lot simpler than the old shop. There are no accounts and all payments will come through PayPal. You can pay by credit card as well as bank-funded PayPal. See here for more information. Some things of beauty are: items put in your cart stay there for an hour so there’s no rush to check out, there’s a product RSS feed so you can be notified when I add items, and the shop is simple to run and not hosted by me so I really think it can handle some serious abuse. I’m going to have a sneak attack update in the very near future. Subscribe to the feed, keep your eyes peeled, and let’s give the new shop a workout, shall we? I am really going to be sad to see the bulk fiber go. :( I understand you have to do what you have to do, and your dyed roving is gorgeous, but I really love your undyed roving! Good luck with the revamp! The shop looks lovely! Congratulations. I was disappointed to learn that you would no longer be carrying bulk fiber. You were one of my favorite suppliers. 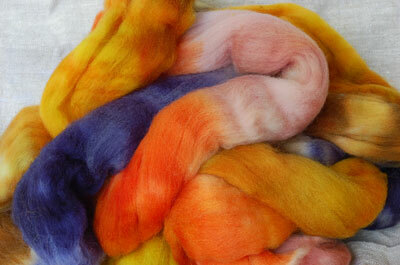 Any chance you would share your sources so I can continue to have great fiber to spin and dye? I like the new shop! Way easier to navigate. More sanity and blogging will be good, too! The new shop site looks great! I’ll miss the spinning supplies, but I look forward to more hand dyed stuff. Best online fiber/yarn shop! Now you just need to get helloyarn fan club on FaceBook! How can you say you have been furiously working on the website when you haven’t posted since Jan. 2010??????????????? Rosemary, you are a RAY OF SUNSHINE. Thank you for brightening everyone’s day! She’s baaaack….oh Rosemary, you slay me. Yay for the revamp & new plans. Planning to nab me some fat sock in the future. Oh noes, Rosemary! I thought you deleted this blog. So how’s that “posotive thought” thing working for you? Anyway, well done on the revamp, Adrian! aw yeah! rosemary’s back! yay! Rosemary, I so agree with you, The nerve of her…fooling with us and telling us all of these lies…can I share your drugs??? To get to the delete key follow these easy steps, look on your keyboard for D E L E T E, do not spell it out, look for a button that says it and then use it, but then again you are quite entertaining!!!!!!!!!!!!!!!!!!!!!!!!!!!!!!!!!!!!!!!!!!!!!!!!!!!!!!! as soon as i get my own wheel, i plan to join your fiber club! fingers crossed! Hi Adrian! Just an fyi or two – Love the shop. love it. I did try to do the rss feed for the product stuff and all I got was code – I felt like I should avert my eyes.